Ukraine's Defense Ministry has reported that five Ukrainian soldiers were wounded in action in the past day, according to an UNIAN correspondent. "No Ukrainian soldiers have been killed, but there were five wounded in action," Defense Ministry spokesperson for Anti-Terrorist Operation (ATO) issues Oleksandr Motuzianyk said at briefing in Kyiv on Sunday, March 19. There were 85 attacks on Ukrainian positions in the ATO zone on Saturday, March 18, the press center of the ATO headquarters reported on Facebook. In particular, the village of Luhanske and the town of Avdiyivka in the Donetsk sector came under 82mm and 120mm mortar fire. Russia's hybrid military forces also used grenade launchers of various system. They opened fire from large-caliber machine guns on Ukrainian troops near the villages of Nevelske and Pisky. What is more, grenade launchers and 82mm mortars were used to attack Ukrainian positions near the villages of Opytne, Troyitske, Zaitseve, and Kamianka. Read alsoATO HQ reports 91 enemy attacks, 4 WIA in Donbas in last day"The enemy twice used 122mm artillery to shell our positions near the villages of Vodiane and Pavlopil in the Mariupol sector. The village of Shyrokyne came under 120mm mortar fire, while 82mm mortars, small arms and grenade launchers were used to fire on the town of Maryinka and the village of Hnutove," it said. The number of ceasefire violations in the Luhansk sector increased over the period under review. The occupiers used grenade launchers of various systems, 82mm and 120mm, mortars and tanks to attack the village of Krymske. Late in the evening, they added 152mm artillery systems. "Strongholds near the village of Troitske came under 120mm mortar fire several times, while anti-tank weapons were used to fire on troops stationed near the villages of Novo-Oleksandrivka and Triokhizbenka, and the town of Popasna. 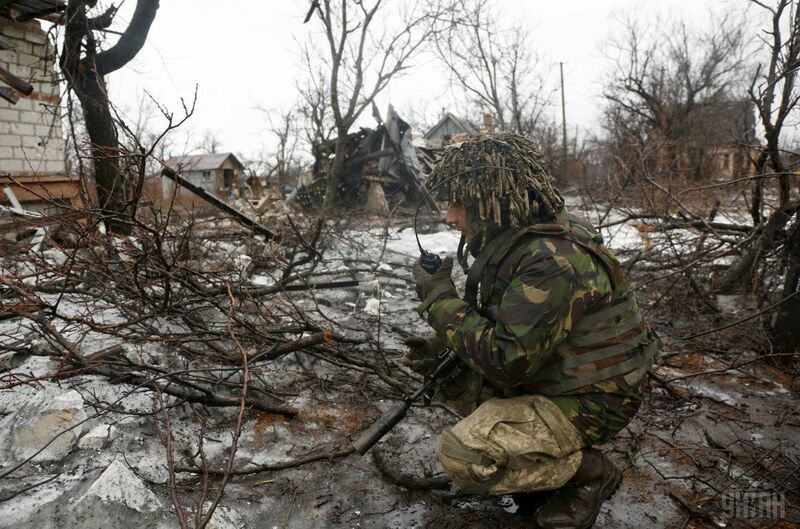 Grenade launchers and large-caliber machine guns were fired on the village of Stanytsia Luhanska," it said.